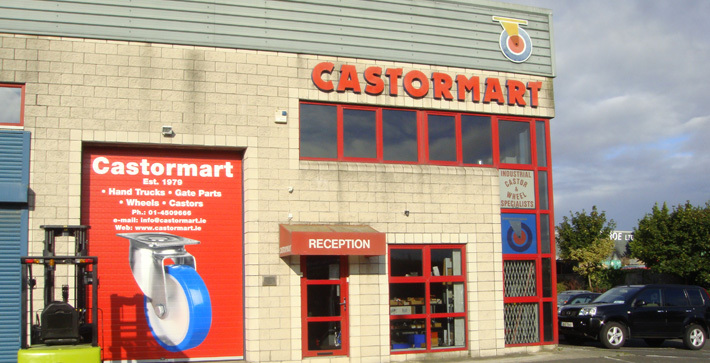 Castormart is a family run business established in 1979 with branches in Dublin and Belfast. We have built up great knowledge in the specialist area of castors and wheels with previous experience in the manufacturing sector totalling 60 years in castors. We have many other products in our range which compliment our portfolio including adjustable feet and a wide selection of gate products. Good quality products have been sourced throughout the world to meet our customers’ requirements, whether you require stainless steel or polyurethane or products to an exact specification, please contact our technical staff.